Today, Michigan EIBC and Advanced Energy Economy (AEE) released a policy platformfor the Michigan gubernatorial campaigns of Republican nominee Attorney General Bill Schuette and Democratic nominee Gretchen Whitmer outlining how clean energy can create jobs and drive economic growth in the state. 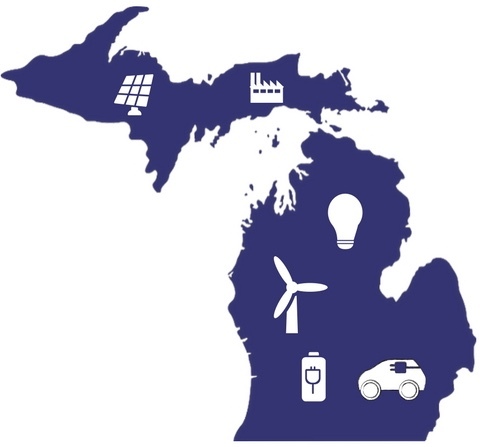 The document outlines multiple policy priorities the next governor of Michigan can pursue to take full advantage of the economic development potential provided by advanced energy technologies and services. Michigan EIBC Board Members and Leadership Council were pleased to meet with leading gubernatorial candidates over the last several months to discuss the policy platform. Our energy system is going through a dramatic evolution – attention to consumer preferences, dynamic new technologies, and the need to replace aging infrastructure are all contributing to a rapidly changing energy landscape. And with this transformation, comes opportunity to grow the 122,200 clean energy jobs in Michigan. Build upon recent legislative successes to further develop the runway for advanced energy in Michigan. Maximize energy efficiency and demand response to create jobs and provide cost savings. Increase opportunities to purchase renewable energy. Expand opportunities for customers to generate their own electricity. Modernize and improve Michigan’s electrical grid. On October 5, the Michigan Public Service Commission (MPSC) issued long-awaited decisions in several cases related to PURPA and voluntary green power pricing programs. With respect to PURPA, the MPSC ruled that avoided costs determined in Case No. U-18090 last November for Consumers Energy can go into effect. However, full avoided cost payments are only guaranteed for the first 150 MW of projects in the utility’s interconnection queue (as determined by filing date). The MPSC decided that Consumers Energy’s need for additional capacity beyond those 150 MW will be determined as part of the ongoing Integrated Resource Plan (IRP) case (U-20165). The MPSC also clarified and finalized the terms of the utility’s standard offer tariff. The MPSC also overturned the decision made by Administrative Law Judge (ALJ) Sharon Feldman in the Consumers IRP case (U-20165) by granting the appeals filed by Consumers Energy, ABATE, and the Attorney General. Those parties appealed a decision by the ALJ which granted a motion to strike aspects of the Consumers IRP related to PURPA. The original motion to strike was filed by the Environmental Law & Policy Center. Coupled with the decisions described above in U-18090, this decision means that PURPA avoided cost and the utility’s standard offer tariff will be re-examined and updated in the Consumers IRP case. With respect to voluntary green power pricing, the MPSC approved Consumers Energy’s proposed voluntary green pricing (VGP) programs (including the Large Customer-Renewable Energy Program Option A and Option B) but held up approval of a similar plan from DTE Energy to give the utility time to provide more information about program costs. As an intervening party, Michigan EIBC urged the MPSC to establish strong green power pricing programs to help meet the growing demand for renewable energy in Michigan. Michigan EIBC will continue to work with the Commission and DTE Electric to ensure that their program works for Michigan’s advanced energy industry and corporate energy users. Last week University of Michigan President Mark Schlissel committed that the school will achieve carbon neutrality on campus. Schlissel announced that he will appoint a commission over the coming months to develop a detailed plan and timeline for achieving carbon neutrality. The planning process intends to incorporate other local institutions — public and private — to make the University’s goal achievable and to influence even broader change. Previously, the University had committed to a 25% carbon reduction from 2006 levels by 2025. Schlissel reported that the 25% reduction will be met ahead of schedule, thanks in part to an agreement to purchase renewable energy that will soon be finalized. This progress comes despite the University’s growing footprint, which is now home to approximately 37 million square feet of buildings. 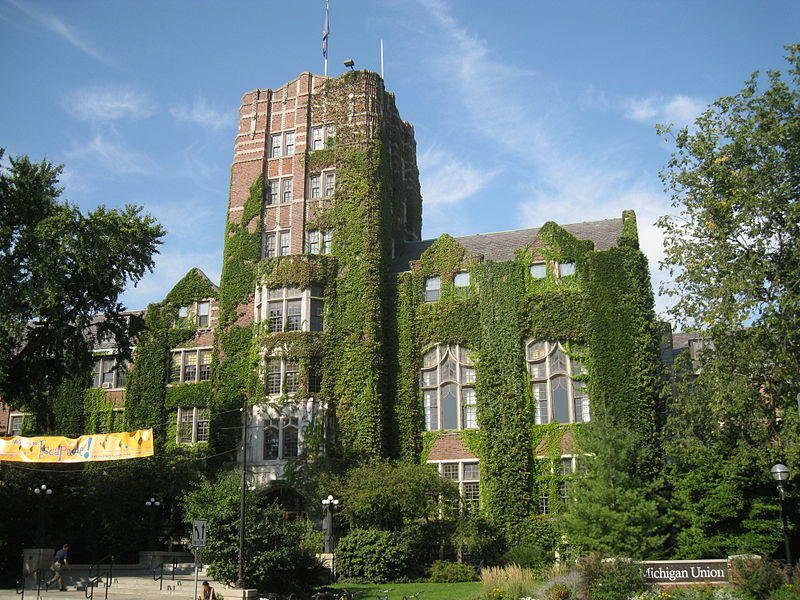 The University of Michigan’s announcement is the latest in a general trend among institutions of higher education across the country that have made commitments to carbon neutrality, renewable energy procurement, and fossil-fuel divestment. In Michigan, Michigan State University has plans to reduce emissions by 65 percent by 2030. Elsewhere in the Big Ten, Ohio State, Northwestern, the University of Minnesota, the University of Maryland and the University of Illinois have committed to a 100 percent carbon emission reduction by 2050. On November 9 in Lansing, Michigan EIBC will be hosting a post-election recap and analysis for member companies. The meeting will cover results from the Michigan legislative races, the gubernatorial and other statewide races, and races for the U.S. House and Senate. We’ll discuss initial reactions to what the results of the election mean for advanced energy in Michigan. Our Mission: To connect the smart grid to the smart home with the only utility led Home Energy Management Solution developed for utilities worldwide. Our Story: We have created a connection to the home that nobody else has. Powerley provides a real-time window into energy usage – for your home and for every connected appliance and device within it. By developing a constant connection with your energy, we have created an entirely new connected home experience. You don’t need ten different apps for every connected bulb, switch, appliance and camera in your home. You only need one – the one that allows you to manage your energy and your home. Via Powerley, all your smart devices work harmoniously together to deliver a personalized experience that is enriched with true energy insight. Bridging the smart home to the smart grid is no small feat. Our solution was built hand-in-hand with energy utilities, the industry that powers our daily lives – stretching from energy plants to the light bulbs in your home. Through the utilities, your home is already connected. Powerley just adds the extra ingredients to make it intelligent. Christman is a self perform builder, construction manager, and general contractor, in business for over 120 years, based in Michigan and with a footprint in the mid-south region. With average revenue around $800M, and a diverse, talented group of professionals, our capabilities fit for a broad range of project types and size. 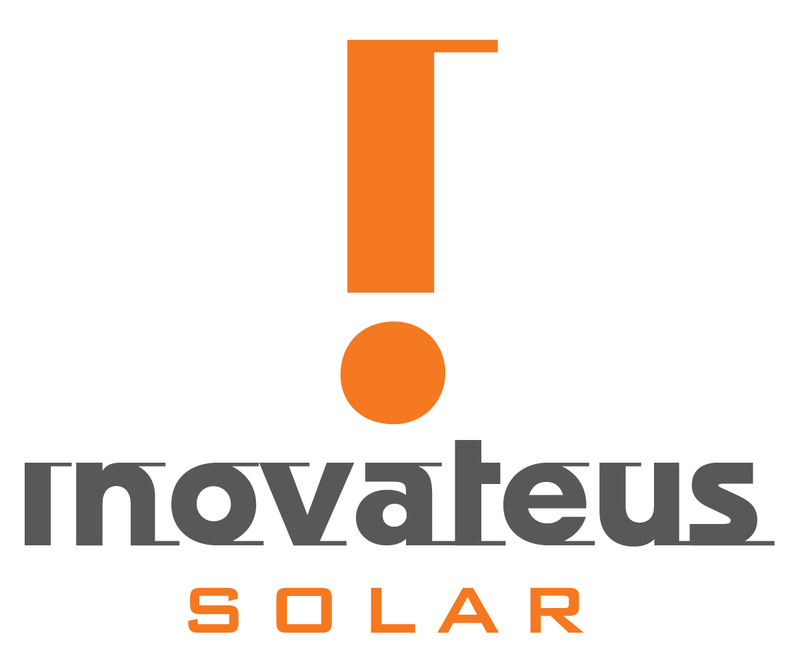 Inovateus Solar specializes in full-service Turnkey Engineering, Procurement, and Construction, with over 300 MW completed since we opened our doors in 2008. We focus on the Industrial and Commercial markets, as well as utility scale projects. We are family owned and operate primarily in the Midwest. Our Supply division provides all solar equipment needs. Sunrun is the largest dedicated residential solar provider in the country. We have over a decade of experience helping nearly 135,000 homeowners choose clean, sustainable energy for their homes. We pioneered the “solar-as­-a­-service” model 10 years ago and since then we have been delivering on a vision to create a planet run by the sun. Sunrun’s history of blending innovation with expertise began in 2007 when Sunrun co-founders invented this model of service—making clean solar energy affordable, mainstream, and accessible for everyone in the U.S. Sunrun makes going solar, and saving money on your electric bill, about as easy as it gets. Our innovation continues with Sunrun’s BrightBox, an innovative solar and battery storage solution for homeowners who want the peace of mind that comes with backup electricity and maximum control over their energy bills. This enables our customers to better manage the energy generated directly from their rooftops. 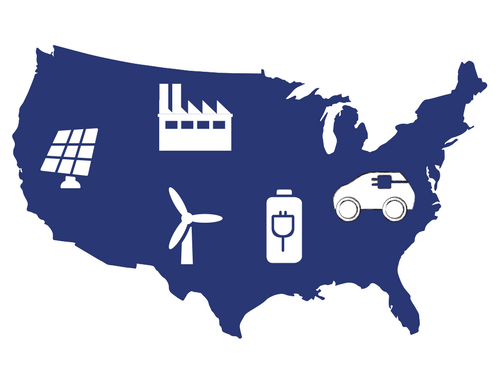 Sunrun employs more than 3,000 people throughout the United States. We’re looking forward to helping Midwest families go solar to bring down their energy costs and create a cleaner, more sustainable environment for generations to come. Varnum’s long-standing energy practice encompasses significant experience in conventional, alternative and renewable energy sources. It has been involved in energy legal issues for more than 35 years. Varnum helped organize the Energy Michigan trade association and are a founding member of the Michigan Renewable Energy Consortium. Varnum’s energy clients include: – Municipally-owned electric utilities – Co-generators and independent power producers – Biomass facilities, including waste-to-energy and wood-fired plants – Alternative energy projects, including wind farms, biomass, waste-to-energy, landfill gas, hydroelectric, and biodigesters – Oil & gas producers and transporters – Nuclear power plants – Trade associations – Investors and lenders – Customers and end-users – Manufacturers of energy-producing parts and equipment Varnum’s project work includes utility scale cogeneration and exempt wholesale generators in excess of 1000 MW; alternative energy projects from 0.5 MW to 65 MW; and natural gas pipelines, production and utility scale storage facilities. Varnum has both the 40,000 foot perspective and the detailed knowledge of this highly-regulated industry to help you meet its clients energy goals in the new energy marketplace. Wind farms across the Midwest are helping General Motors meet its 100 percent renewable energy goal by 2050, including a 105 MW project that came online this week in Ohio. University of Michigan’s president announced that the university will pursue net carbon neutrality. Including a change to allow Large Wind Energy Conversion (LWEC) systems in Forest Resource-zoned districts, the L’Anse Township Planning Commission recommended zoning amendments Wednesday requested by the developer of a proposed wind farm. Students living in the Michigan Technological University (MTU) Sustainability Demonstration House (SDH) opened their home to the public on Thursday to show everyone the results of two years of work. The Michigan Public Service Commission (MPSC) Friday authorized Consumers Energy to move forward with two voluntary green pricing (VGP) programs, but withheld approval of a similar proposal from DTE Electric Co.
DTE Energy released its 2017 Energy Waste Reduction Annual Report, which estimates its customers will cumulatively save nearly $649 million on their energy bills over a lifetime. The average participant saves about $75 to $200 per year on average. The City of Grand Rapids earned a gold certificate for taking on a wide range of environmental sustainability projects in the Michigan Green Communities Challenge. UM introduces a new solar-powered straw bale building that will be used to host events. IBEW Local 58 — which represents more than 4,700 journeymen electricians in Southeast Michigan — now operates the largest zero net energy facility in the state. General Motors largest gasoline-burning vehicles — pickups and full-size SUVs — will soon be built at plants powered by wind. Duke Energy announced a plan to install 530 electric vehicle charging stations in Florida, mostly in public places. Virginia plans to invest $14 million from the Volkswagen settlement money to develop electric vehicle charging networks. Washington regulators approved stringent rules for community solar providers, sparking concerns among some clean energy advocates that the new requirements might keep some out of the market. Nevada could cost-effectively add up to 175 MW of utility-scale battery storage by 2020, according to a new study. Organic Valley, the largest cooperative of organic farmers in the U.S., expanded its plan to be powered by 100 percent renewable energy to sharing solar power with 13 Midwest communities. A central Ohio coal plant is closing two years ahead of schedule in 2020 as it fails to compete on the wholesale market. Walt Disney Company is months away from generating enough solar energy to fully power two of its four parks at its Florida resort. A Montana brewery is offering free beer to customers who sign up for a community solar array that it is hosting. A wind company provided a workshop on wind power for teachers in an Indiana county. A utility and developer are battling at FERC over whether wind-plus-storage facilities qualify under the federal law, which compels utilities to purchase power from small renewable generators.